We're excited to announce a new designer that will be included on Lollipuff! Originally Yves Saint Laurent (YSL), and now just Saint Laurent, this brand has always been one of the most consistently influential designers. Their bags are incredibly coveted and are frequently seen on the arms of celebrities and bloggers. 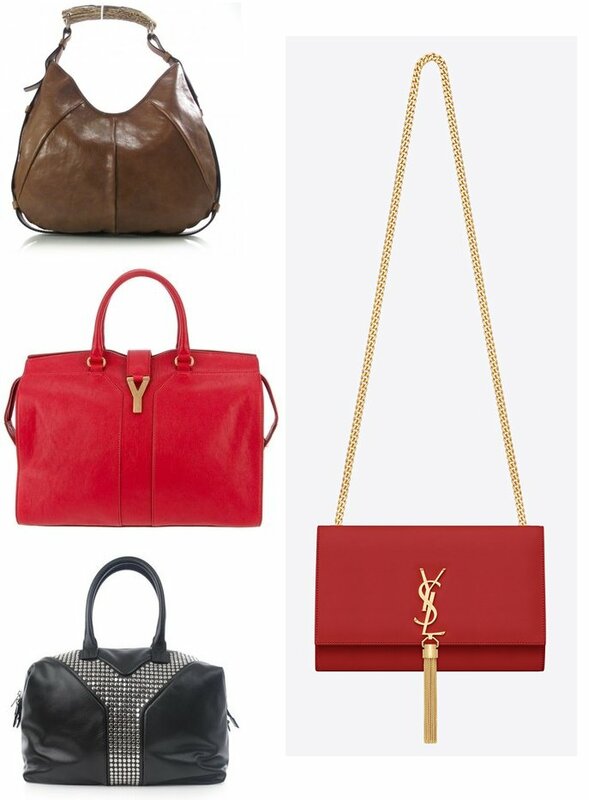 YSL bags strike the perfect balance of modern, simple, and polished. And, let's certainly not forget about their shoes! The tribtoo and tribute, just to name a couple, remain one of the most comfortable shoes that offer a towering leg-lengthening heel. And, yes, they're gorgeous too. With your continued support and sharing of Lollipuff, we are able to support new designers! Thank you so much! We hope that you're delighted with our newest designer addition! Check out all of the Yves Saint Laurent items on sale here.